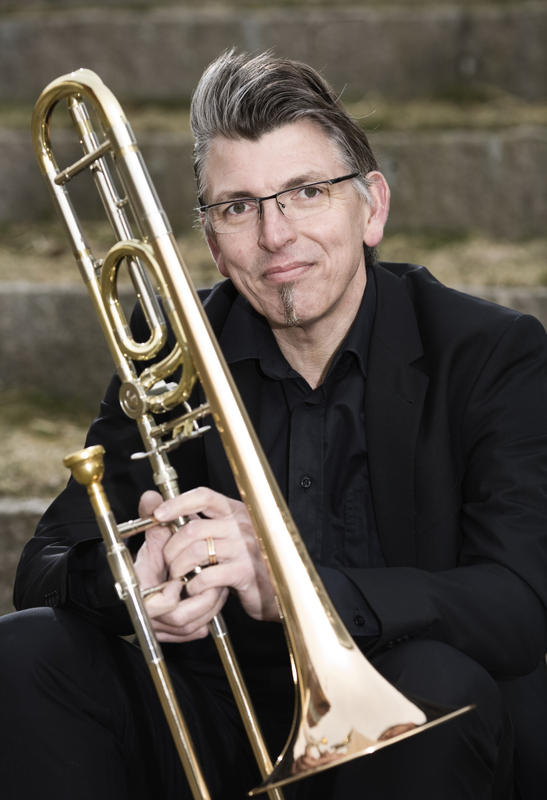 Trombonist Niels-Ole Bo Johansen has been teaching at The Royal Academy of Music in Aarhus since 1989 – in 1995 he became associate professor and in 2000 he was appointed to a full professorship. His teachers were: John Leth, Rolf Sandmark, Ingemar Roos and Benny Sluchin. From 1980 – 84 he was a bandsman in various army bands and from 1986 – 2000 he was co-principal trombonist in the The Aarhus Symphony Orchestra. Niels-Ole Bo Johansen keeps a busy schedule performing, teaching and conducting all over the world with his various programmes and musical combinations such as solo trombone recitals, trombone and computer recitals, trombone and organ duo with professor Ulrik Spang-Hanssen since 1984, The Århus Sinfonietta and trombone-piano duo with professor Erik Kaltoft. Niels-Ole Bo Johansen has performed and lectured at several of the International Trombone Associations Festivals and hosted the festival in 2009 in his hometown Aarhus, Denmark. He is currently chairman of the Aarhus Sinfonietta and ITA Scandinavia. He has served as 2nd Vice President of the International Trombone Association 2011-2014 as well as being a member of the International Trombone Festival board since 2010. A new initiative is his collaboration with writer Christina Englund and percussionist Henrik Larsen – Poetry & Music – Christina reads her wonderful and humorous poems and in between we play bits and pieces…. He has over the years made several CDs and has edited most of Edition WHs works for trombone. When not playing trombone or teaching Niels-Ole enjoys being with his family in their old school house on the country side where he resides with his wife and 3 children + various amounts of pets. Niels-Ole Bo Johansen is a Courtois soloist and clinician.